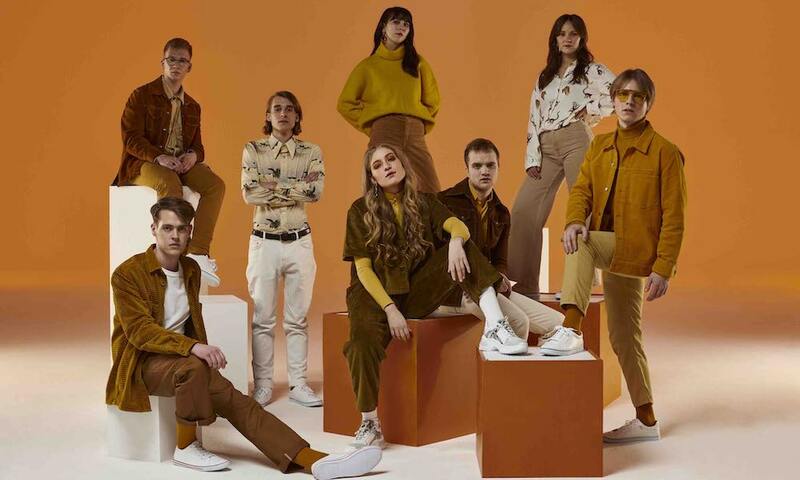 Serving as their major label debut, “25” sees Norwegian 8-piece Fieh pay homage to a multitude of different sonic stylings to stunningly craft their own singular sound. Modern life can be astonishingly exhausting. Endless notifications and a never-ending list of thankless tasks to complete can come to define every single hour of our respective existences. Monstrosity monotony can set in too, making us feel like passengers in our lives. While paying testament to the sometimes-overburdening nature of modern live, Fieh (pronounced ‘fee-ah’) channel an incredible array of sonic influences to craft an infectiously delightful sound, that’s strikingly their own, to remind us of why live is worth living. 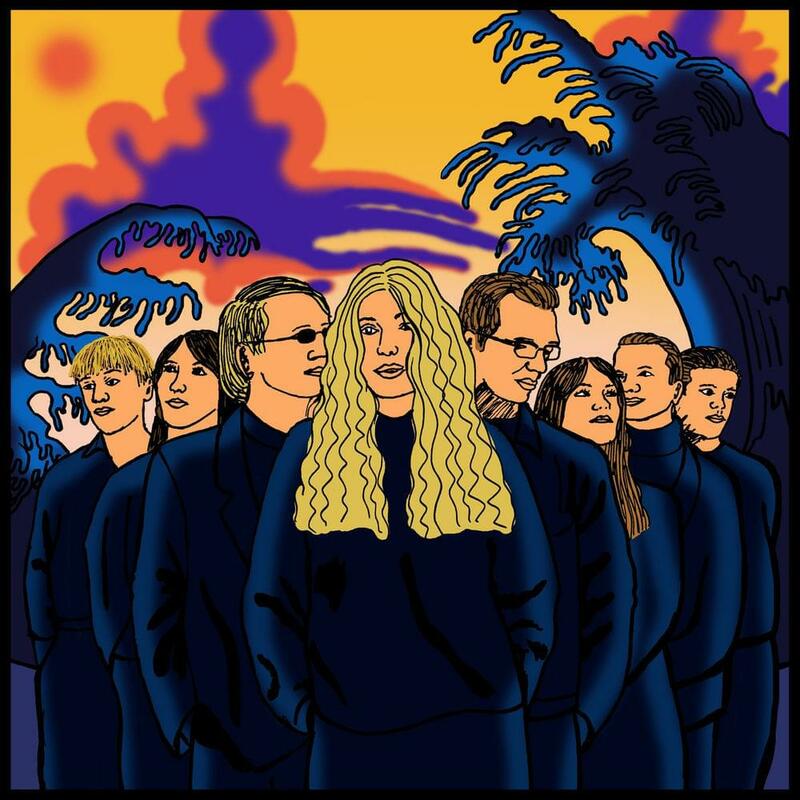 The pressures and costs of touring are increasingly compelling artists to cut their numbers but Fieh defiantly resist this pressure, with the Norwegian collective led by singer Sofie Tollefsbøl boasting no less than 8 members. Proving there’s strength in numbers, the band’s euphorically energetic live sets have rightfully garnered them worldwide acclaim and attention. “25” serves as the band’s major label release, acting as an intoxicating introduction to their ingeniously inventive and uniquely unparalleled sound. 22-year-old singer and multi-instrumentalist Sofie Tollefsbøl founded Fieh with longtime friends Ola Øverby (drums) and Andreas Rukan (bass). Since starting off as a trio, the group has expanded to further broaden their sonic horizons. There’s a distinct sonic texture and warmth to “25” as it intertwines different genres, in a way that’s brilliantly beguiling and intoxicatingly inventive. The song’s luxurious light and airy vocals serve as a compelling, comfortable guide through the amalgamation of different musical genres such as R&B, soul and funk. Magnificently, an undeniable air of ingenuity infects every single element of “25” — but there’s something about the track that feels reassuringly and intimately familiar. 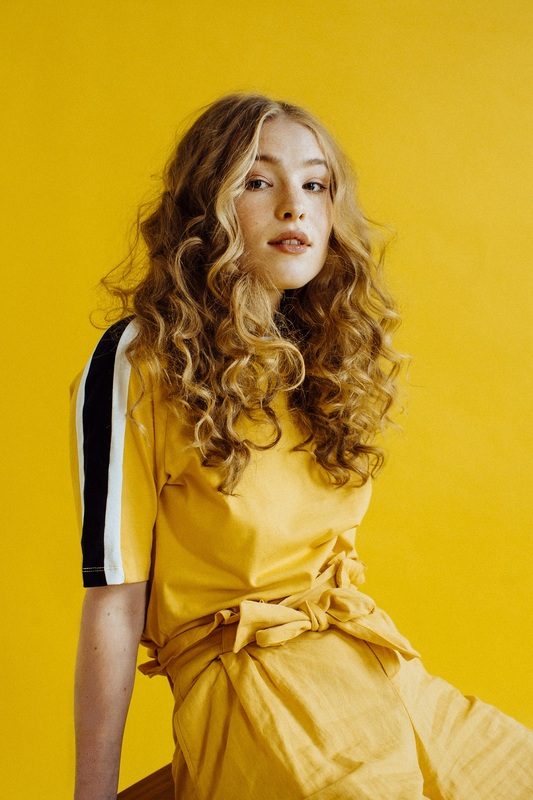 To accompany this tantalizing track, Fieh channel influences from cinema greats such as Wes Anderson and Tarantino to craft a delightfully absorbing video that sees them induct a new number into their cult. The tongue-in-cheek nature of the video serves as an insight into the band’s self-deprecating humour and evident tight bond. The video’s striking contrast of dark blacks with piercingly penetrating yellows and oranges is delightful appealing while the video’s end gives a minuscule glimpse of the band’s talents and creative bond as musicians. With “25”, Fieh manage to enthral and delight in equal measure, with sonic stylings that feel ferociously fresh but fantastically familiar. With the band already deservedly drawing acclaim from the legendary Elton John and Atwood favourites Glass Animals, it’s an incredibly exciting time for this extraordinarily talented 8-piece collective. “25” is out now on Decca Records.